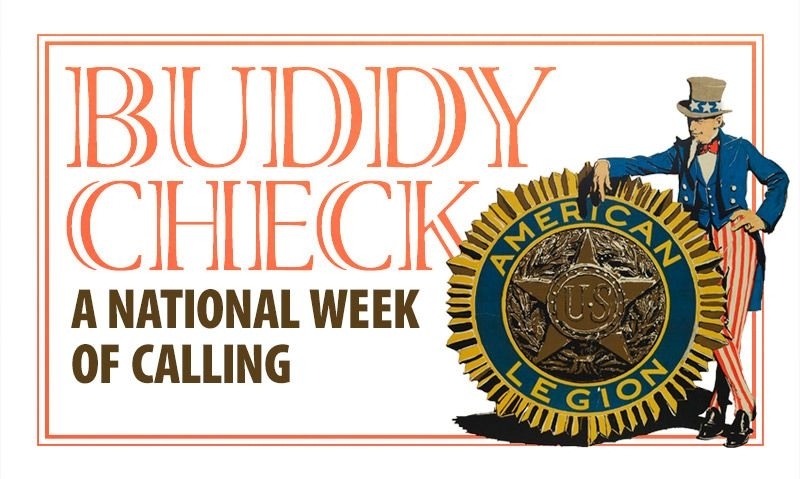 Heading into The American Legion Centennial, National Commander Brett Reistad called on American Legion posts to perform a Buddy Check during the organization’s National Week of Calling around the Legion’s 100th birthday. Reistad wanted to use the Buddy Check as a way to reach out to members and former members who may need help. American Legion posts, districts and departments responded. The Department of Colorado sent out an email to everyone in the headquarters post through the website Mailchimp. The email message asked how the member was doing and thanked them for their service and membership. Through the emails, the department found out that one headquarters post member needed assistance with paying utilities. The Department of Colorado financially assisted the veteran through two department assistance funds and transferred his membership to a post near his home. The department also heard from a 93-year-old World War II veteran who just wanted to share his story, and another member replied simply thanking the department for checking in. District 22 in San Diego, Calif., found veterans in need of food, transportation, pet therapy visits or just home visits all by making phone calls to hundreds of their members. But we want to hear more. Share your Buddy Check stories by emailing sbrooks@legion.org or posting them on Legiontown. We’ll highlight some of your efforts via American Legion media.